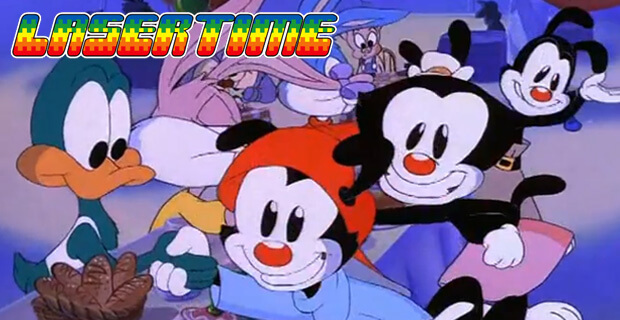 To me Animaniacs and Batman the animated series are forever intertwined. When one ends I always expect the other to begin when marathoning the dvds. Thanks for the episode! I love listening at work! Warner Bros. animation has come up so much in this podcast, a dedicated episode is the logical conclusion, great stuff! I expect nothing less from him when it comes to cartoons. There was a lot of Power Rangers bashing on this episode and I WILL NOT STAND FOR IT! What about Road Rovers? Or was that deemed too bad as well? I *cough* liked Histeria. Used to watch it in the mornings getting ready for college. They had a very John Cleesey bit about a Viking wanting a wolf on the prow of his ship accidentally getting a “sad puppy who’s done a naughty” that just killed me. Bless you for bringing up the Apocalypse Now/Day the Clown Cried bit. As the one very strange 13 year old who got those references at the time, I was floored. I couldn’t believe they were allowed to spend the money to make something that bizarre. 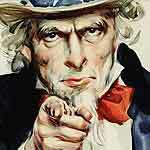 And If you do an MST3K episode without me, I will start A CIVIL WAR! What’s this? A Laser Time episode about cartoons?! Shocking.. But seriously can’t wait to listen, always loved Warner Bros. animation. I’m going to listen to more of that RobPaulsenLive podcast later today too! Jim Cummings was a great guest! Man, I forgot about the skits I didn’t like. I could not stand Elmyra Duff or Rita and Runt. In fact I remember trying to tape the show just so I could fast-forward past them, of course this was when I was still operating on stupid baby logic and thought just writing the name of what you wanted on the side of the VHS was how it worked….that was a pretty disappointing day. 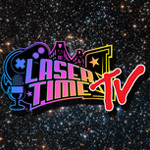 Laser Time, the show that reminds of all the stuff from my childhood. Keep up the excellent work, gentlemen. Great show! I have fond memories of most of the shows mentioned, though never knew much of the context/politics behind them. When I was a kid I remember wishing for a live action Freakazoid movie starring Weird Al. I really dig the recent LT appearances of Bob Mackey. I actually sort of knew the guy when he lived in Ohio and I was way surprised when he showed up on my favorite podcast. Nice lad! I love these episodes of Laser Time. I work with a bunch of old fart engineers who were too old to appreciate cartoons of late 80’s and early 90’s. These episodes make me feel like I’m sitting with old friends, reminiscing the old days and having nostalgic flashbacks. You guys really need to do an all Don Bluth episode like you proposed in the Dinosaurs episode! What’s this? A new Laser Time? And about some of my favorite childhood cartoons? Oh, you lovely bastards! One of my favorite things about the Tiny Toons Summer vacation movie was the end credits. They had some really great gags hidden in it! And that music is unforgettable! I know its not always easy to do, but when you guys have knowledgeable people on the topics and prepare a lot of audio clips and songs it really makes for excellent episodes. Also, The Pinky, Elmyra and the Brain theme, I was hoping you guys would notice the amazing lyrics near the end about the network thought this would be a good idea, why bother to complain. It’s such a brilliant shot at management. God, this is one of my favorite episodes ever. EVER. That was like a nuke worth of nostalgia. Mr. Antista, I am quite disappointed you have yet to give freakazoid a chance. It’s a plot in the 90’s about a nerd whobuys a top secret processor by accident, gets sucked into the internet and his wackiness comes from that turning him into the human embodiment of 90’s internet. What’s not to like?